While conducting combat operations in the Zhari district, Kandahar province of Afghanistan, Domeij’s unit was attacked by enemy forces. Domeij died from the blast of an improvised explosive device, along with two other soldiers. When Kristoffer was killed, he was serving in his 14th deployment as an Army Ranger, having served four deployments to Iraq and 10 to Afghanistan. Kristoffer graduated from Ranch Bernardo High School in 2001 before and enlisted in the Army that July. He joined the Rangers in April of 2002 to follow his calling. During his decade of service to as a Ranger, he earned two Bronze Stars and was posthumously awarded a third one for action during his final tour. Not afraid of hard work, Kristoffer never shied away from a challenge, and took every opportunity to further his skills. When given the chance, he became one of the first Army-qualified Joint Terminal Attack Controllers, an assignment usually meant for members of the Air Force. In this role, he was responsible for calling in close air support for the ground troops and the success of many of missions is attributed to his quick-thinking and sharp skills. 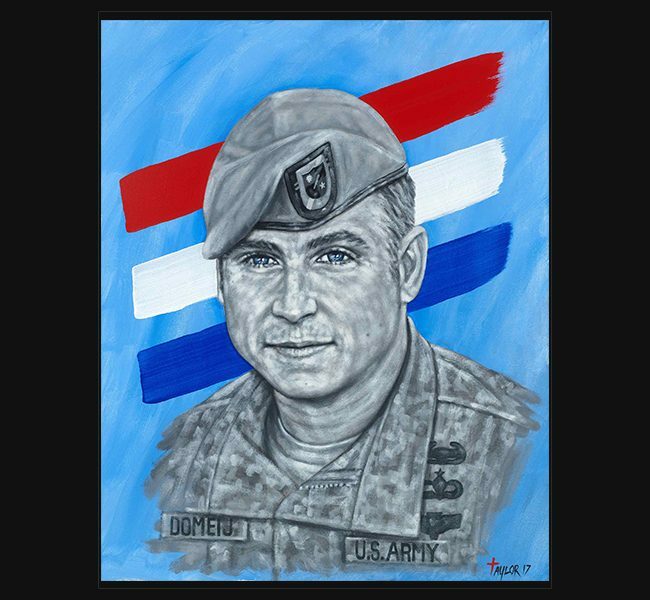 “Sergeant First Class Domeij was the prototypical special operations NCO—a technically and tactically competent Joint Terminal Attack Controller and veteran of a decade of deployments to both Iraq and Afghanistan and hundreds of combat missions. His ability to employ fire support platforms made him a game changer on the battlefield—an operator who in real terms had the value of an entire strike force on the battlefield,” said Col. Mark W. Odom, commander of the 75th Ranger Regiment. Although he was integral part of completing many missions, he never wanted the attention or glory; he fought for his country because he believed in the mission and in God’s plan for him. “I’m awed by how my son lived out his higher calling. Fully aware of the risks, he wanted to make a difference, and like a missionary, he was willing to lay down his life for his values, his family, his friends, even strangers,” his mother, Scoti Domeij, said. SFC Kristoffer Domeij was 29 years old from San Deigo, California. The original portrait was presented to his family, at an event hosted by The Lead The Way Fund on November 12 in New York, New York.